Leo Messi has once again been named by FIFA among the ten greatest footballers on the planet. The Barça star is on the shortlist for The Best 2018, one of the few individual accolades that he has never won before. The winner will be announced at a ceremony in London on September 24. Messi is up against Cristiano Ronaldo (Real Madrid/Juventus & Portugal), Kevin De Bruyne (Manchester City & Belgium), Antoine Griezmann (Atlético Madrid & France), Eden Hazard (Chelsea & Belgium), Harry Kane (Tottenham Hotspur and England), Kylian Mbappe (PSG and France), Luka Modric (Real Madrid and Croatia), Mohamed Salah (Liverpool and Egypt) and Raphael Varane (Real Madrid and France). And Ernesto Valverde is one the candidates to win the coach of the year award, for which he has been nominated for the first time. 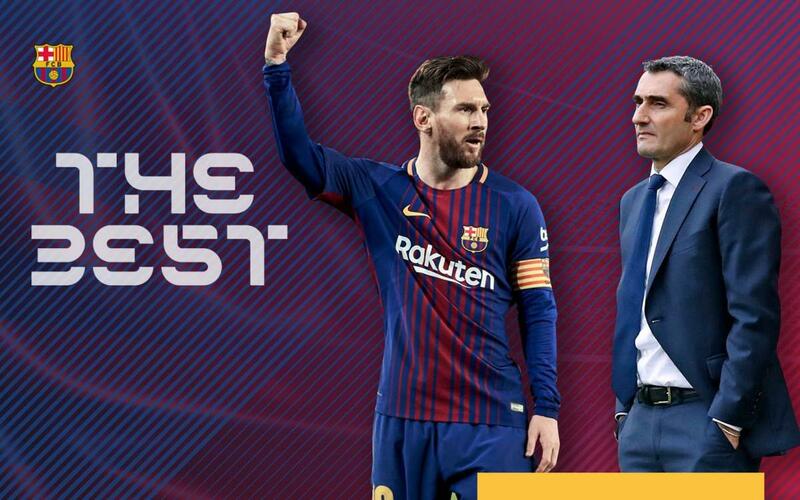 The Barça boss has been shortlisted along with Massimiliano Allegri (Juventus), Stanislav Cherchesov (Russia), Zlatko Dalic (Croatia), Didier Deschamps (France), Pep Guardiola (Manchester City), Jurgen Klopp (Liverpool), Roberto Martinez (Belgium), Diego Simeone (Atlético Madrid), Gareth Southgate (England) and Zinedine Zidane (Real Madrid). This third edition of the awards recognises the best players and manager from 3 July 2017 to 15 July 2018. There has been a change of system this year. The previous shortlist of 23 and been reduced to just ten nominees, selected by a jury of legendary names. From now until August 10, fans, journalists and national managers and captains will be casting their votes on the definitive winner.